Zippy race cars and a fun retro motif bring â€˜50â€s nostalgia to life in the Retro Racers collection from Guidecraft. 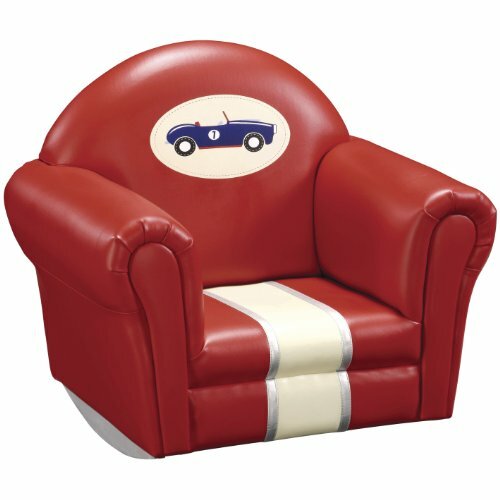 Featuring upholstered vinyl and hand-stitched appliquÃ©s, this childrenâ€s rocker offers comfort and retro style. This chair features solid wood rocking cams and surface-washable, durable vinyl for added convenience. Assembled Dimensions: 21.5in H x 23in W x 17.5in L / Weight: 16 lbs.